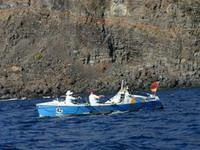 On 2nd December 2007, two gig rowers from Cornwall, England, began their adventure to row across the Atlantic Ocean in aid of Cornwall Hospice Care. The self-built boat is called The Reason Why. 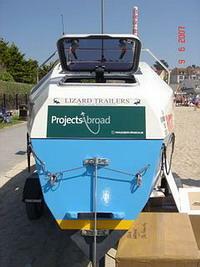 Projects Abroad decided to sponsor the boat when a volunteer highlighted the cause. The rowers Steve Gardner and Paul Harris are both members of Zennor Gig Club (Penzance). They will attempt to row across the Atlantic Ocean in the 2007 Woodvale Atlantic Rowing Race. The two friends have rowed together for 10 years and in May 2006 achieved a best ever 5th place in the World Pilot Gig Championships on the Isles of Scilly, where over 90 gig crews from several different countries competed in this annual gig rowing spectacular. Most rowers aim to finish the race in under 60 days, which means a return in January or February 2008. Projects Abroad would like to wish Steve and Paul all the best. You can follow their progress at www.the-reason-why.co.uk.